Over the past few months, I have seen cauliflower couscous pop up here and there on different food blogs I follow. I always kind of shook my head thinking “cauliflower can’t replace couscous, I mean, how can a veggie taste like a pasta! ?” Then I made it last week. Like the saying goes, don’t knock it til you try it. It was SO GOOD. Totally hit the spot. I served it along side some lemony herb roasted chicken. Perfect spring dinner. 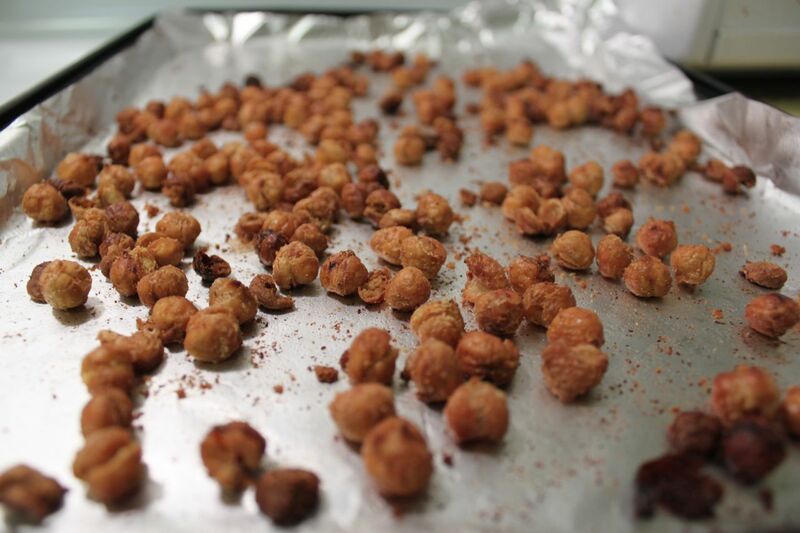 I recommend starting the chickpeas first as they take the most time. 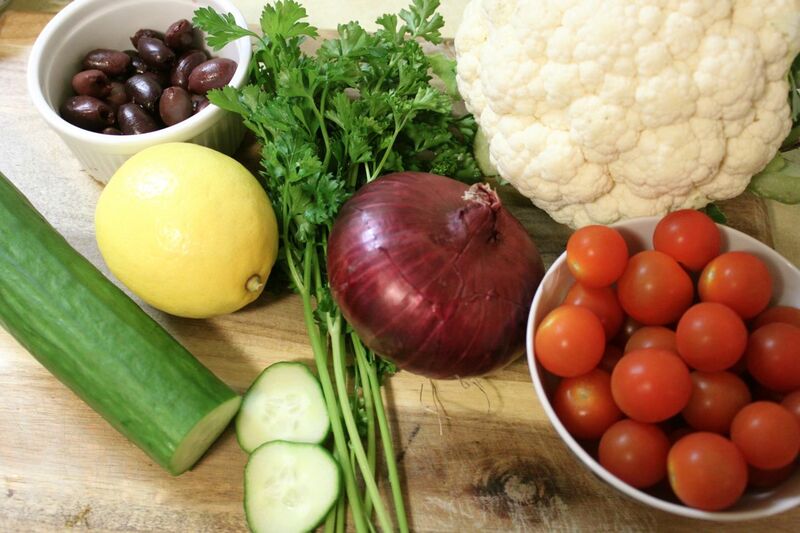 While they are cooking, prepare the cauliflower, make the dressing, and chop up all the veggies. 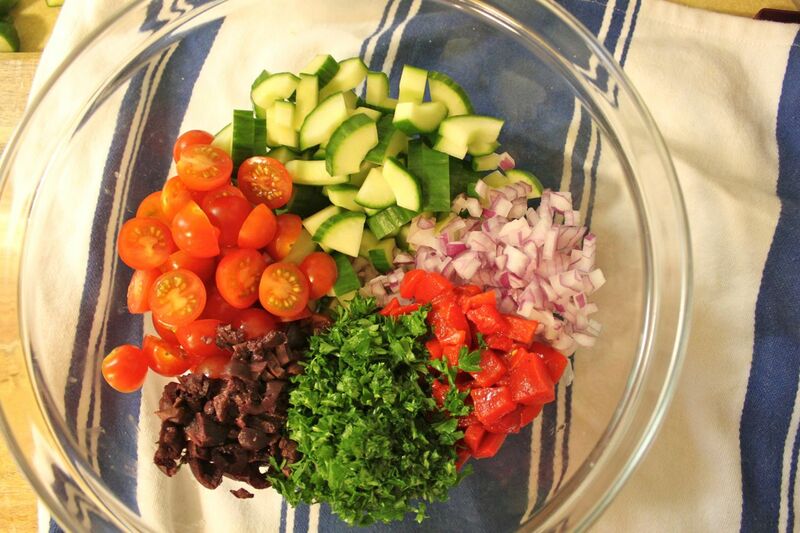 All the salad ingredients ready to go (minus the roasted red peppers, they were hiding when I took the photo). And ends up like this! 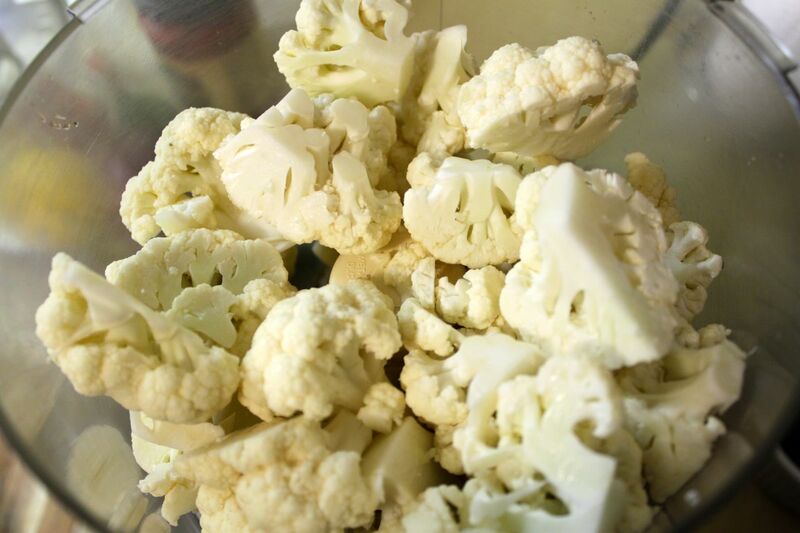 Cauliflower resembles couscous more in texture than in flavor. 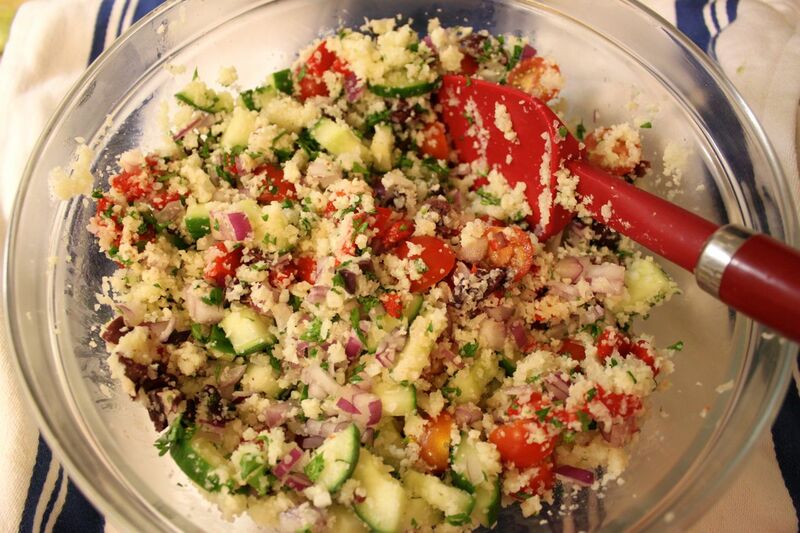 However, adding a delicious dressing will make both regular couscous and the cauliflower version sing. 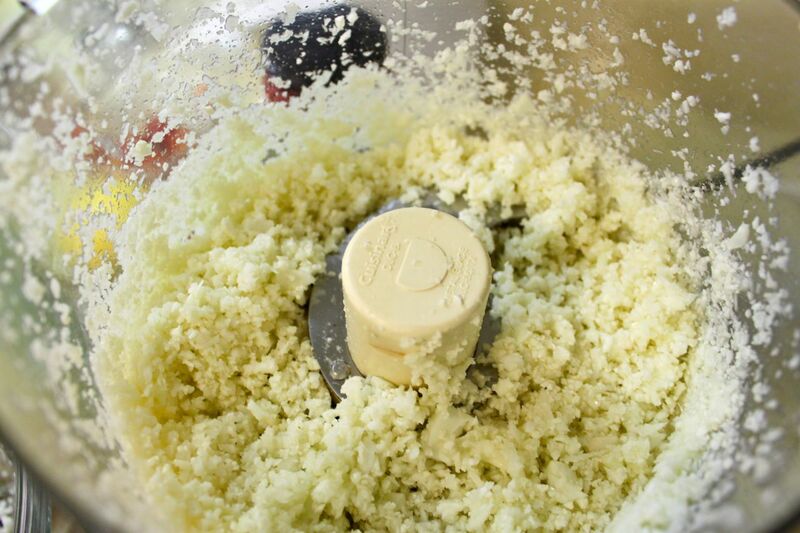 I recommend you pick up a head of cauliflower and make this recipe ASAP. Categories: main dish, salads, vegetarian | Tags: couscous, gluten free, mediterranean, savory, side dish, spring, vegetarian | Permalink.